Born on December 28th, 1927 Leon Roy Wallis is best remembered for the big band he formed in 1949. Based on the style and arrangements of the Dizzy Gillespie big bebop band it was the only big band on the London bebop scene and played at a number of jazz venues in central London. 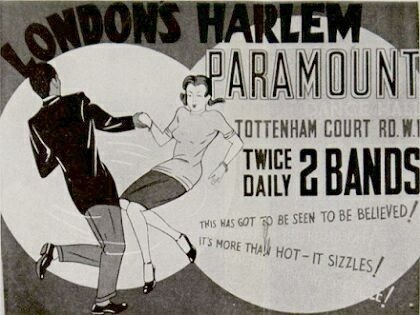 The band had a short lived but memorable residency at The Paramount Dance Hall in London's Tottenham Court Road. The band policy of playing only bebop led to commercial disaster and they never recorded but they achieved legendary status on the bebop scene which is not surprising when you hear that the trumpet section at one time comprised Jimmy Deuchar, Hank Shaw, Dizzy Reece, and a long forgotten Pete Pitterson, and the sax section often included Vic Ash and a very young Tubby Hayes. Note from Wally Wrightman: "Leon Roy led a quintet at the The Bebop Shop at the Rose and Crown, Tottenham. The club ran for some three years from 1947 - 1950. The quintet included, besides Leon on drums, his brother Jimmy Wallis (bass), Lennie Metcalfe (piano), Buddy Kaye (accordian), and Arthur Golding (guitar)". He then worked briefly with Edmundo Ros and in 1951/2 with Ralph Sharon, with whom he recorded several times, and Carl Barriteau. 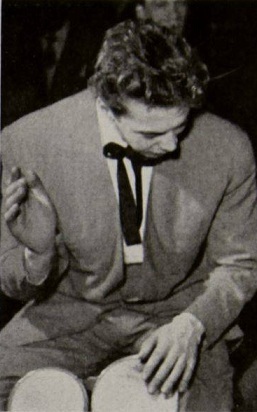 He was in Canada and the US during 1953/4 before returning to London. After repeated visits to the US he settled there permanently. at the end of the 1960s. He died in May, 1993. "The drummer Leon Roy had a regular weekly gig in a place known as 'the jungle' along Tottenham Court Road. Leon was the brother of actress Shani Wallis. Every great West Indian player that ever hit London was in that band, including the trumpeter Pete Pitterson, with Sammy Walker and George Tyndale in the saxes. I believe that Leon, Johnny Keating, Derek Neville, the baritone player, and myself were the only white people in the building. The place was dimly lit, packed out, and unbelievably hot. The people stood so close to one another in front of the band that you could have walked over their heads. A closer look at them would reveal that they were all, without exception, stoned right out of their skulls. Keith Bird (ts), Martin Slavin (vib), Ralph Sharon (p), Alan Metcalfe (g), Bert Howard (b), Leon Roy (d). I Get A Kick Out Of You/Someone To Watch Over Me/This Can't Be Love (unissued)/Zing Went The Strings Of My Heart. I'm Beginning To See The Light (unissued)/Where Or When/Serenade In Blue/April In Paris (unissued).